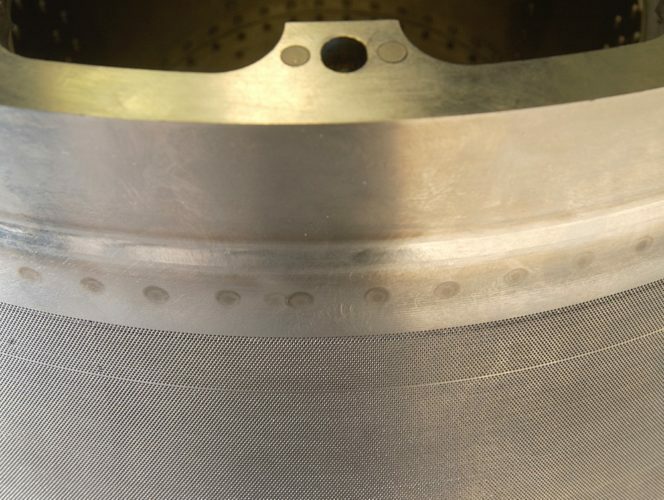 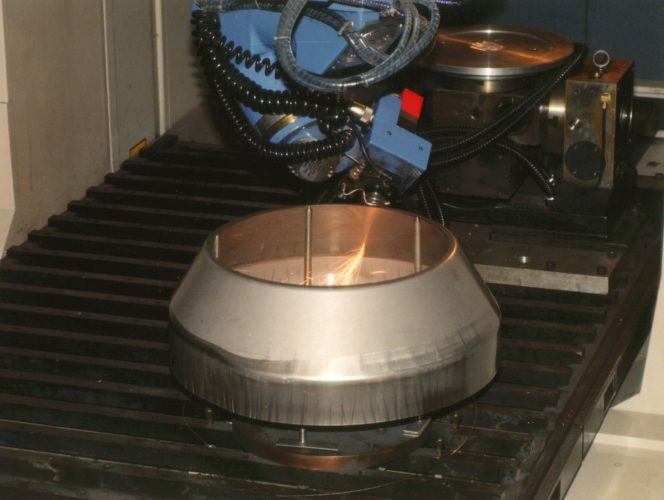 Weldmac utilize the CO2 lasers for contoured cutting. 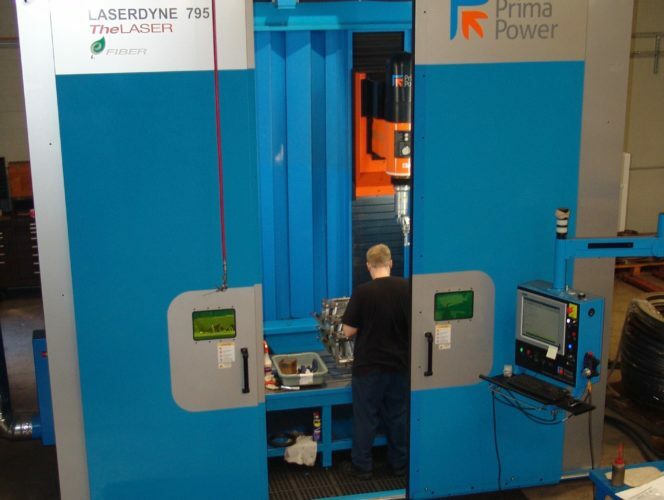 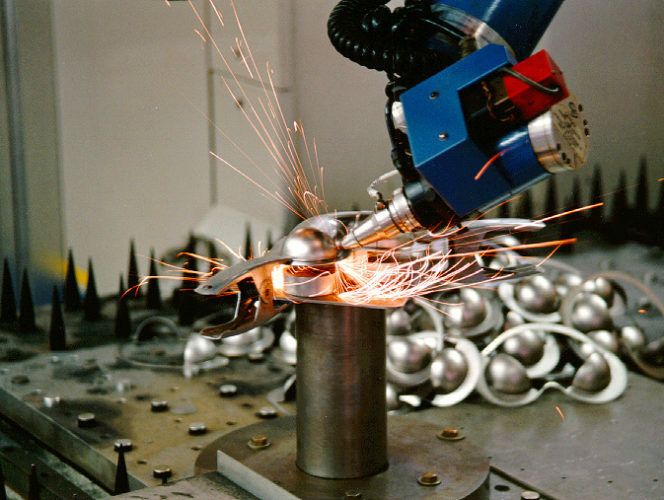 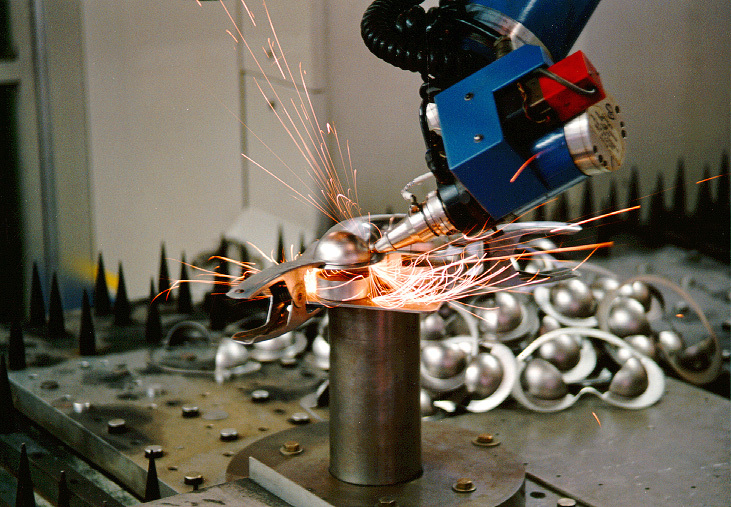 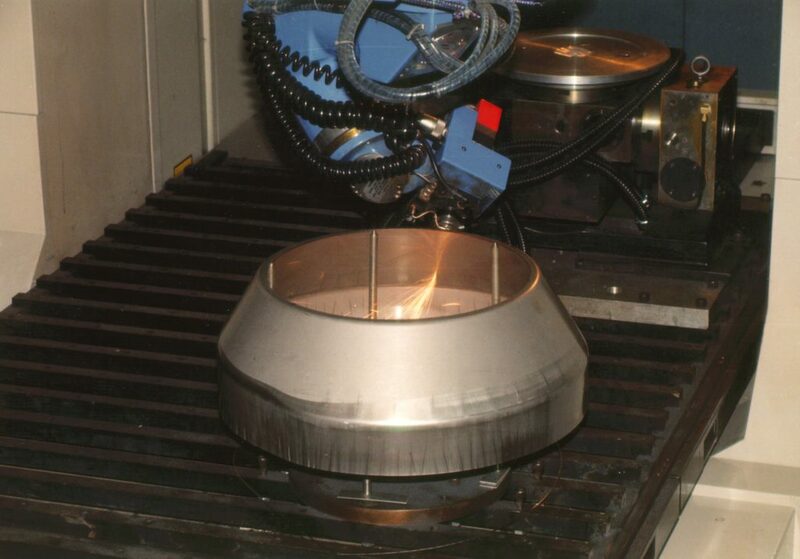 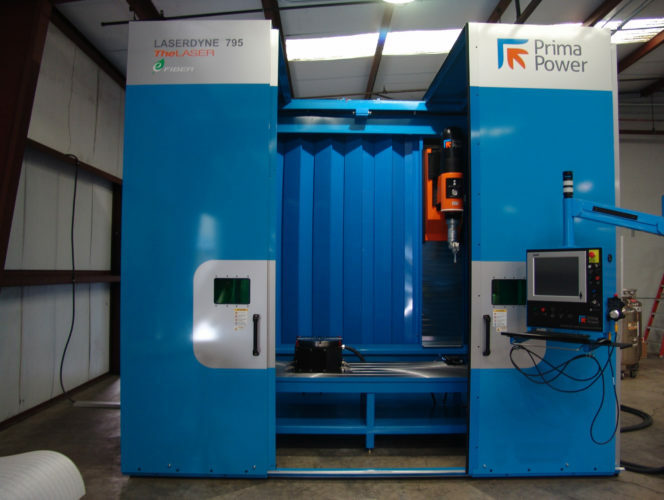 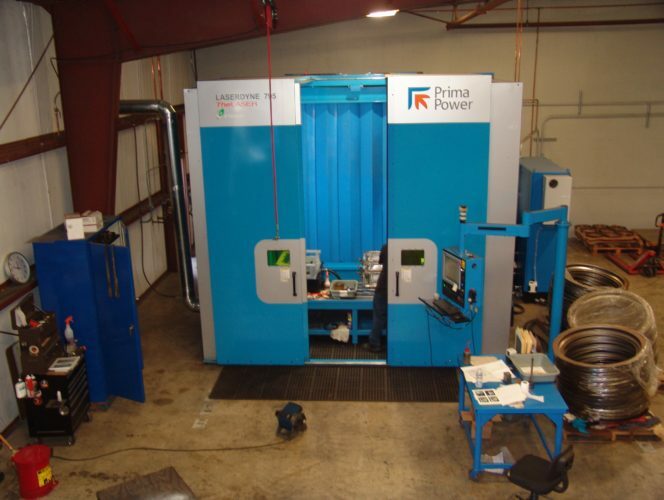 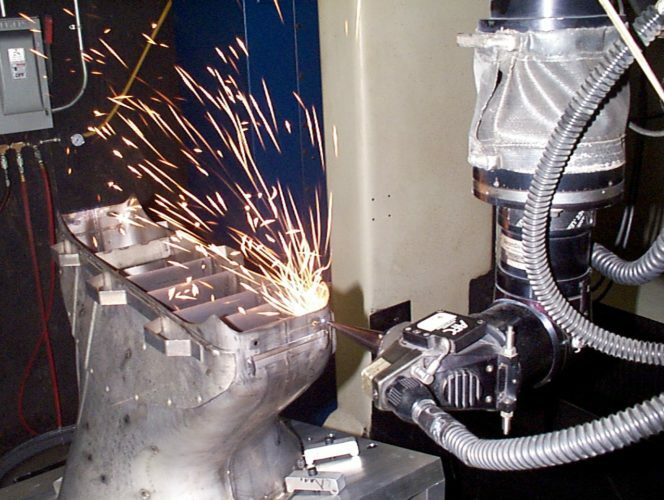 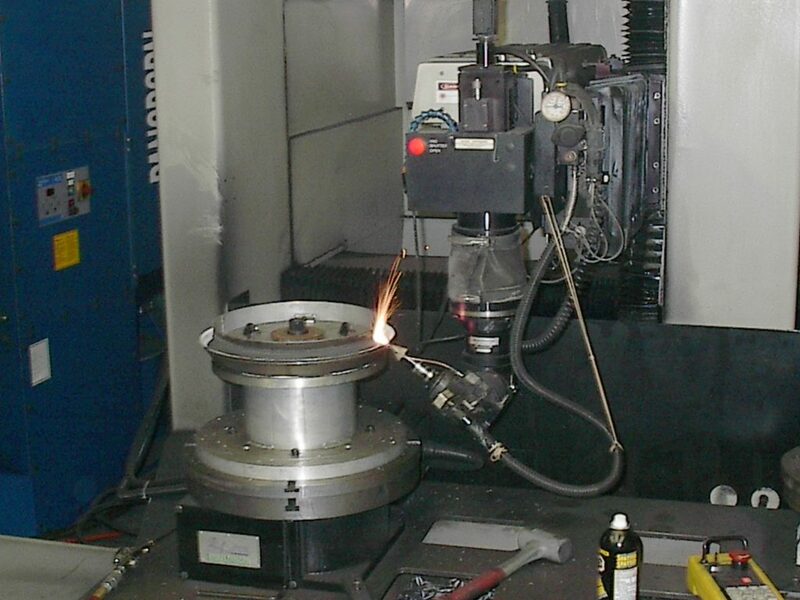 The C02 lasers operate utilizing 2500 watts of power and can cut up to ½” thick stainless steel material. 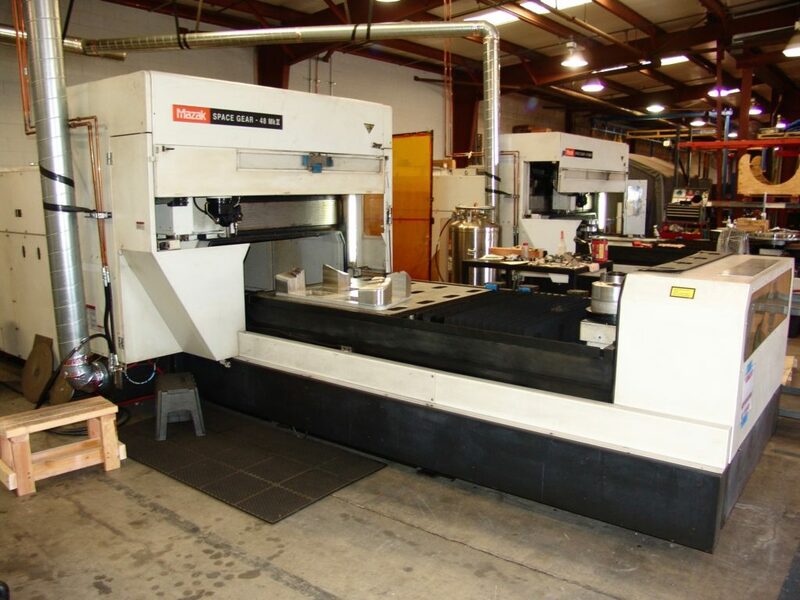 The close tolerance achieved through the laser cutting process provides for a perfect fit going into welding or assembly. 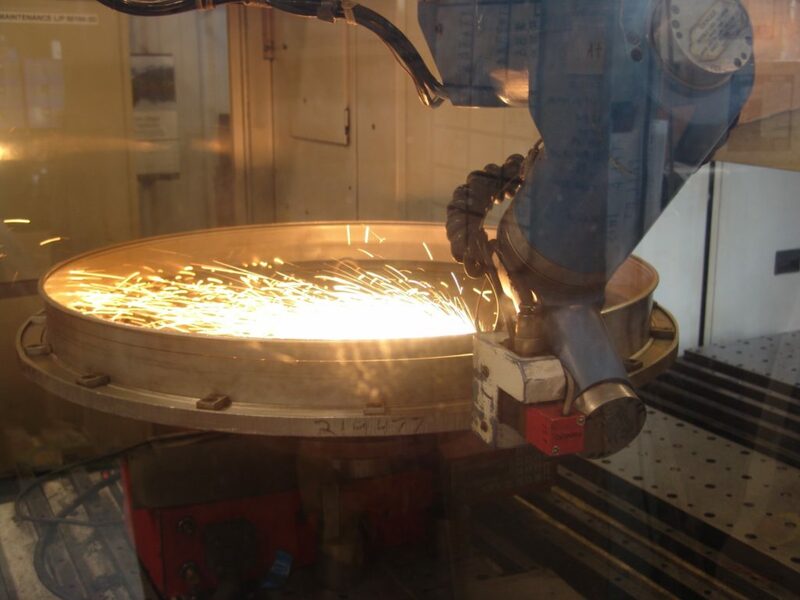 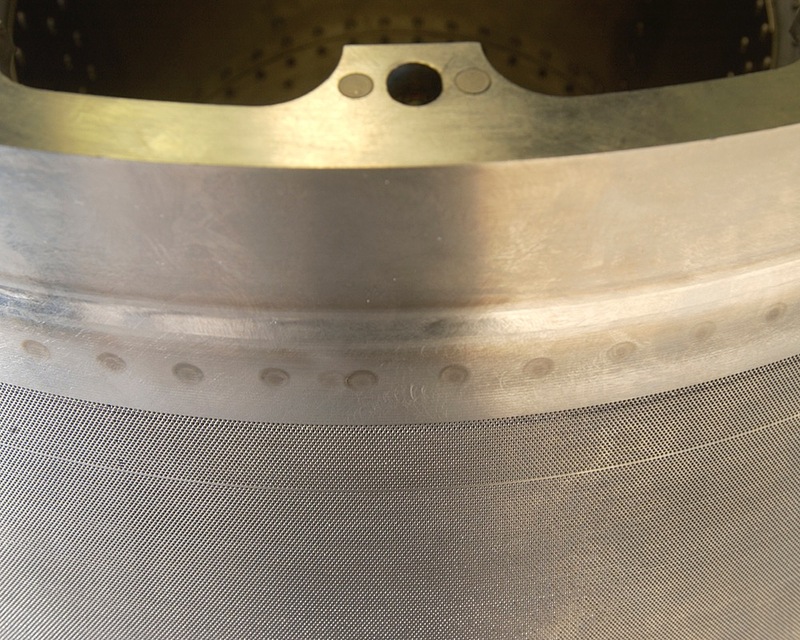 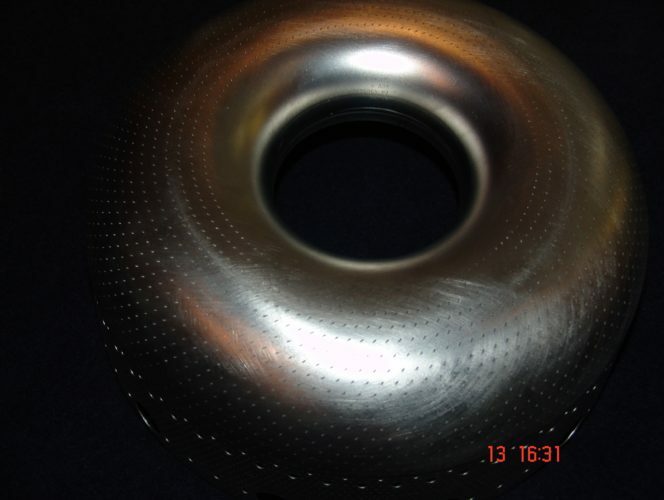 The laser cutting also produces an edge with less than .0002” recast, which is easily removed in a deburing process. 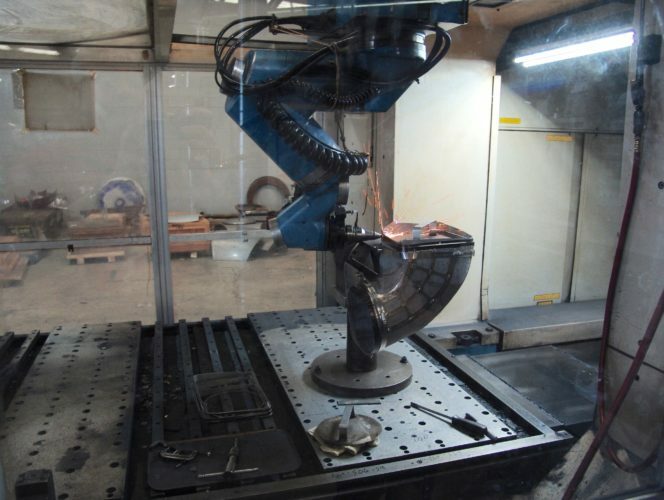 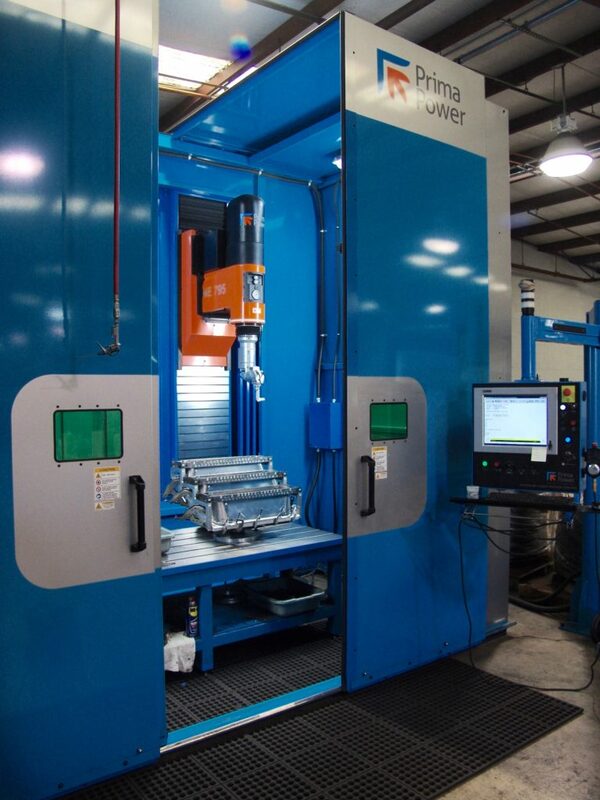 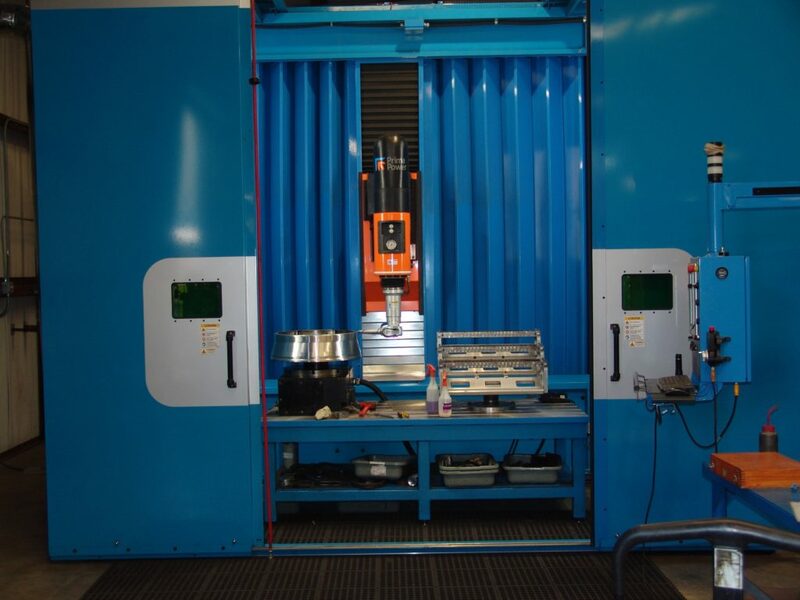 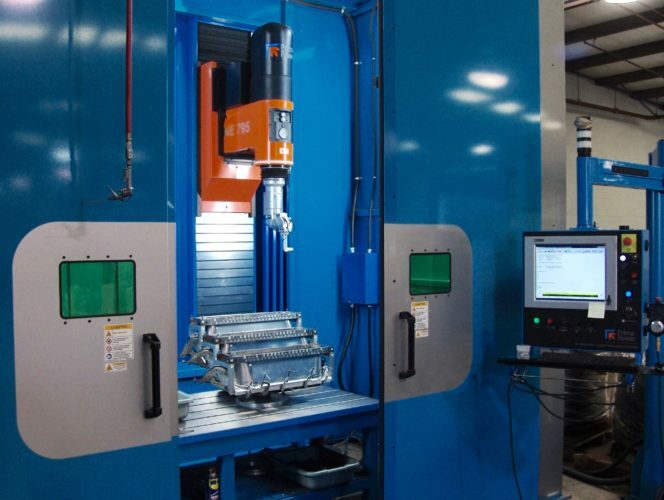 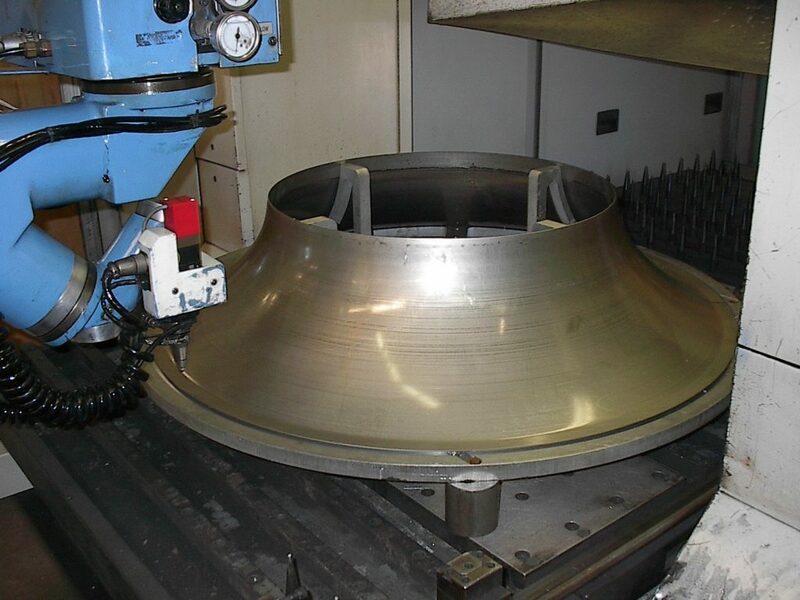 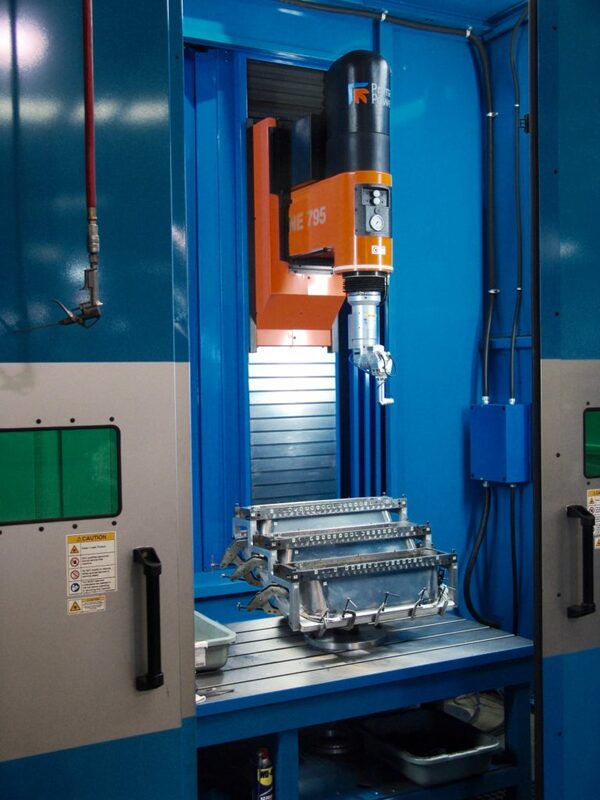 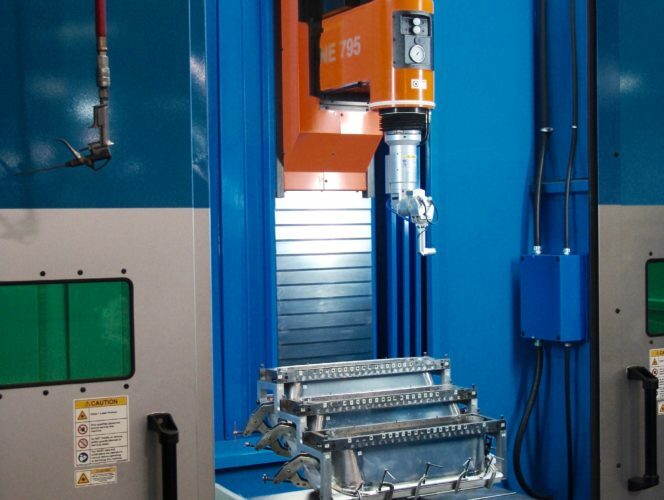 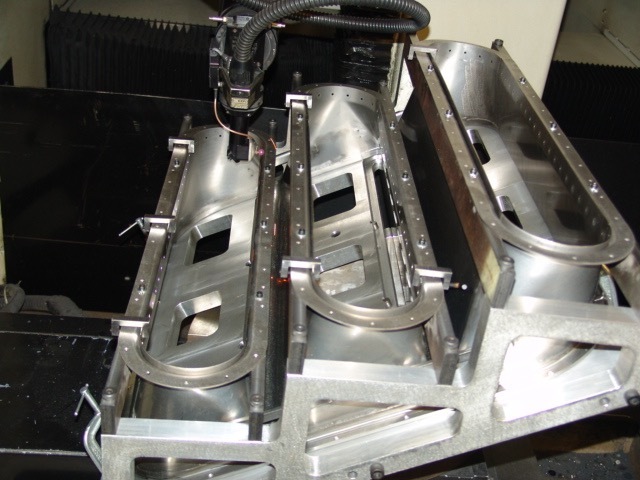 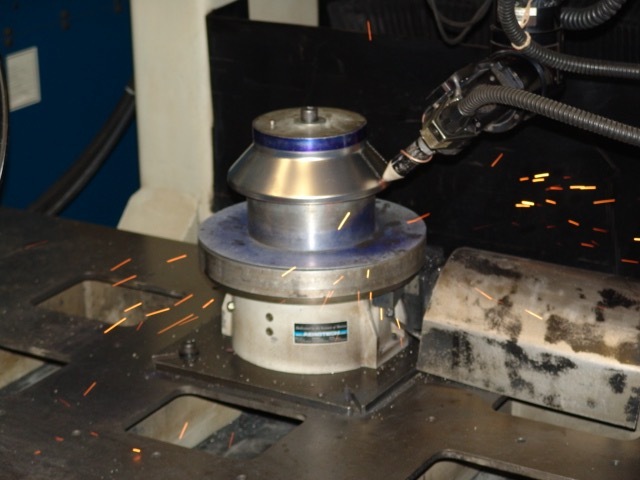 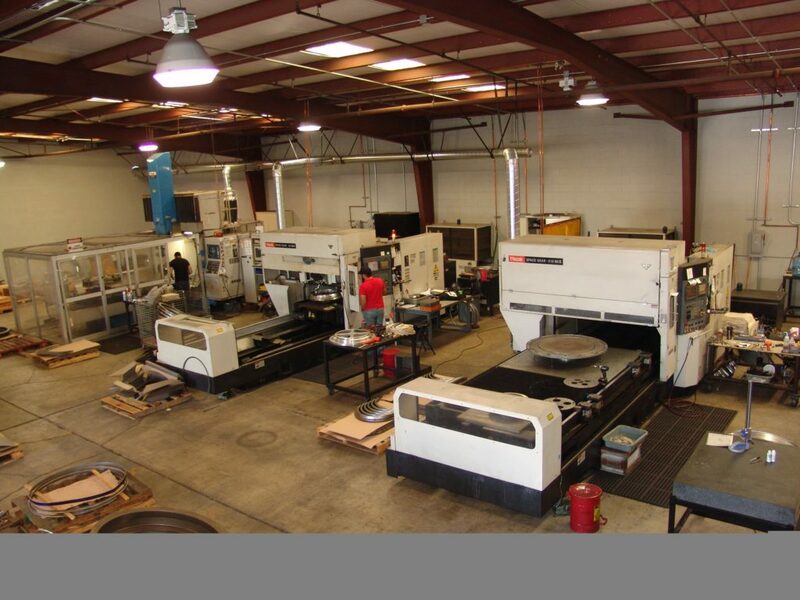 This state of the art multi-axis laser processing system for drilling, welding and cutting precision components expands Weldmac's already extensive capabilities. 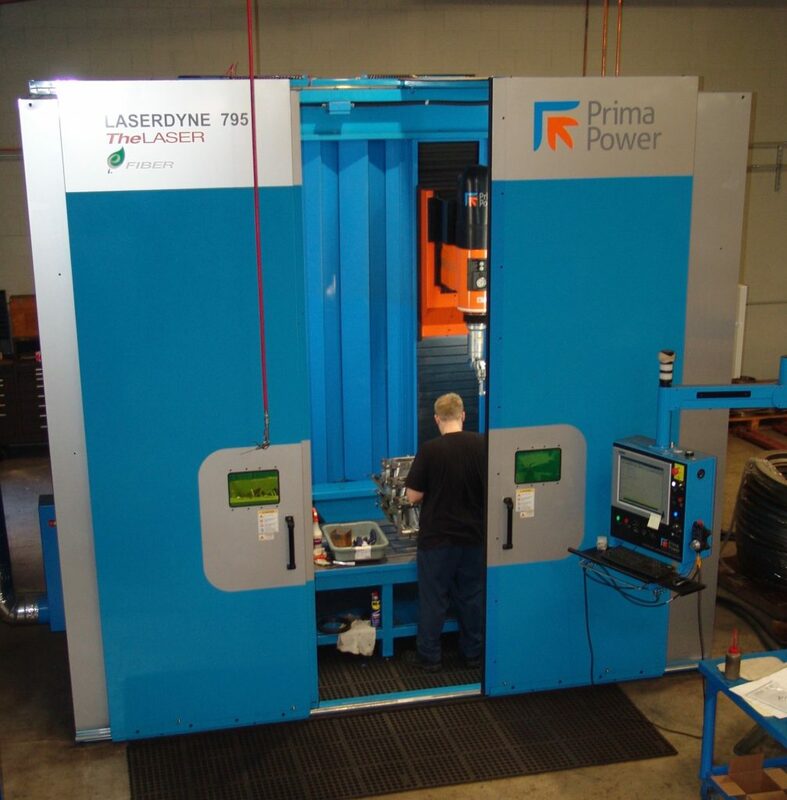 The Laserdyne 795 provides for fast, accurate 3D beam delivery and access to even the most challenging part geometries.